Where to start the musical journey? From the dizzying heights of unlimited budgets? Or should we start in everyman territory and work our way up? Let's go for the lesser known inexpensive dark horse and have some fun. Thonet and Vander aren't the first brand to come to anyone's lips on the local scene, but they're an established German brand with some recognition and sonic legs to them. 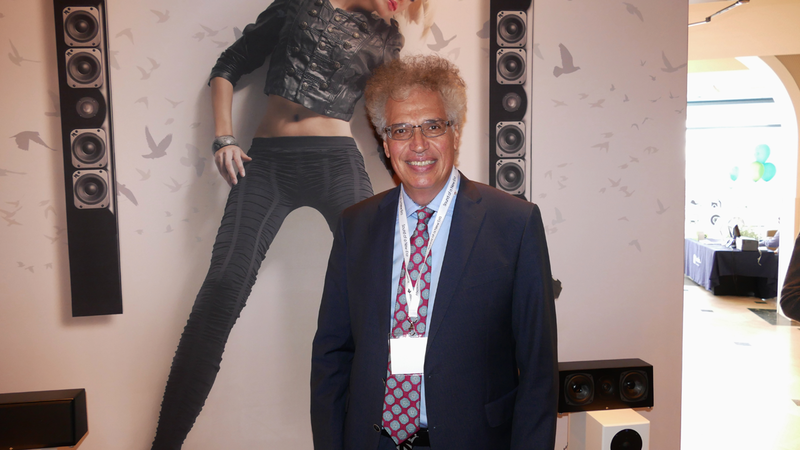 They follow the thoroughly modern mold of self-amplified bluetooth wireless design. Unlike some of the more ambitious offerings, they appear to subtract a zero from the end of their price tags, certainly something to attract the bargain hunter seeking something small and fun for self of youngster. The company have a wide variety of models, including sub/sat variations but the one that piqued my interest was called The Kugel, a rather prodigious-sounding little two-way with 70 watts per side, active crossover, DSP, silk dome, Aramid fiber bass driver and remote. It played quite clean, with high output, decent bass heft and control and showed acceptable midrange warmth and articulation. How much you ask? I'm sure the distributor will correct me if I'm wrong but I believe the figure quoted was $389/pr. Cheap and cheerful enough? 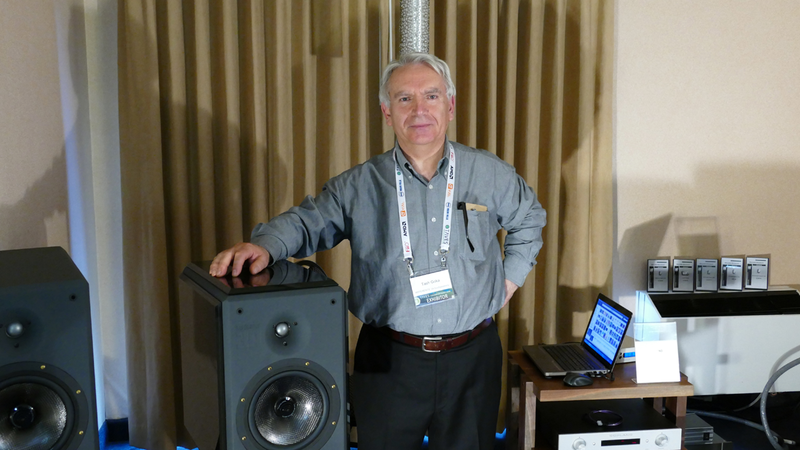 ... Mr. Bruzzese quietly took me aside to proudly demonstrate his latest little trick, a small sub/sat combination of Kin Mini Flex and small sub running with Peachtree electronics. The satellites were almost impervious to placement and the little combo proved quite seamless, musically articulate and convincing in the critical midrange, with enough dynamic juice to satisfy. At $1'300 for the 3-piece set, quite the little trick indeed! 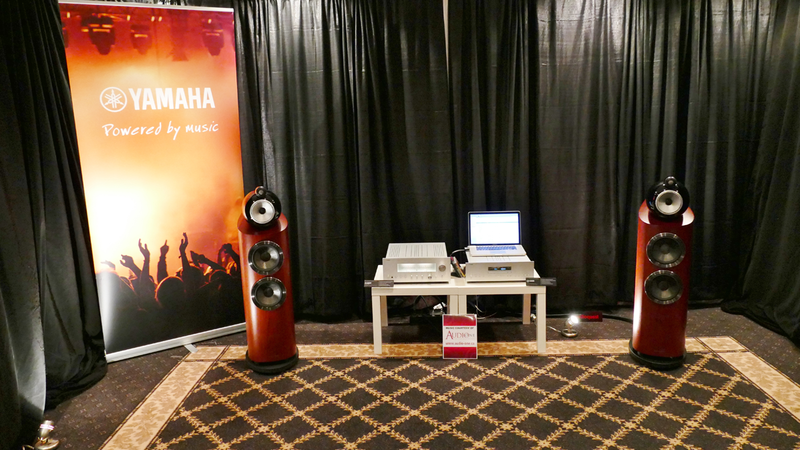 Yamaha were showing off their big rig A5300 and CD5300 electronics with a pair of lovely 800 series B&Ws but off to the side was an interesting little pair called the NX N500. 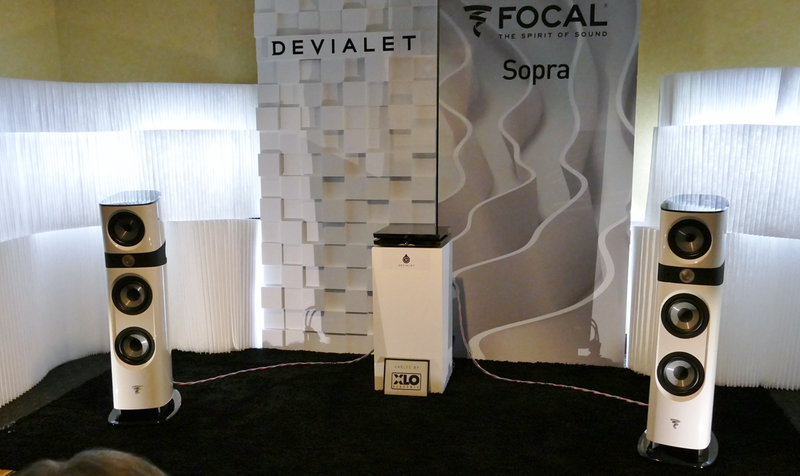 These are amplified mites with wireless ability plus a built-in ESS Sabre DAC à la their dynamite A-S801 integrated amp. 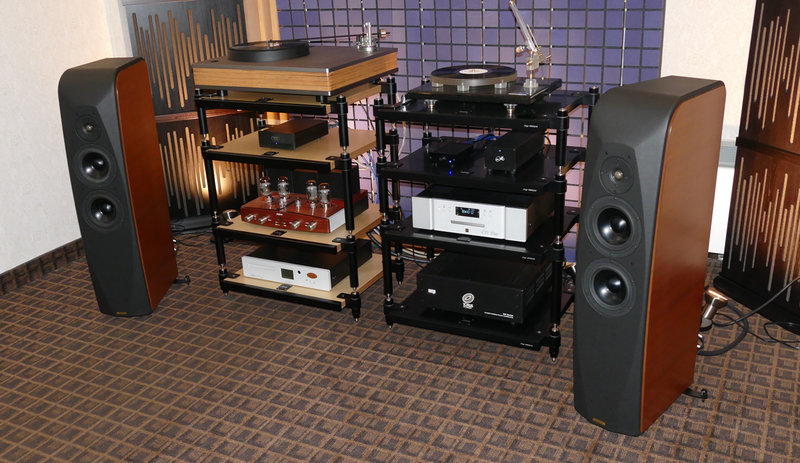 Unplayed when I was there so unheard, but at $1099.95/pr, some tantalizing potential to tempt further exploration. 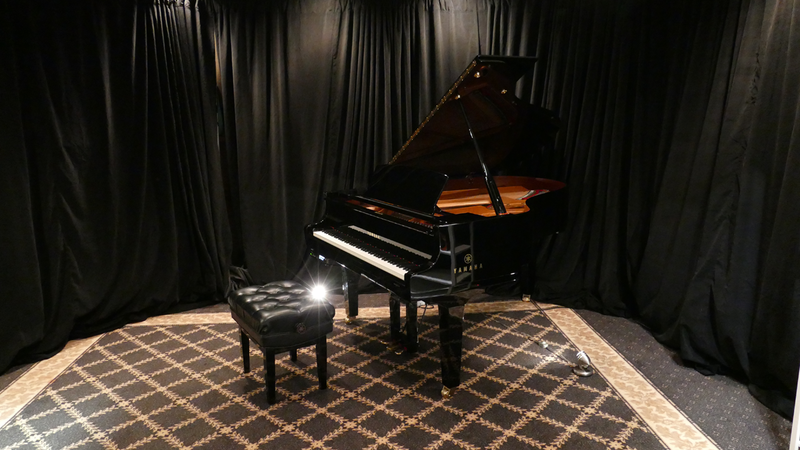 Yamaha had also brought a piano to remind one and all of their musical instruments heritage which includes flutes, clarinets, French horns and more. 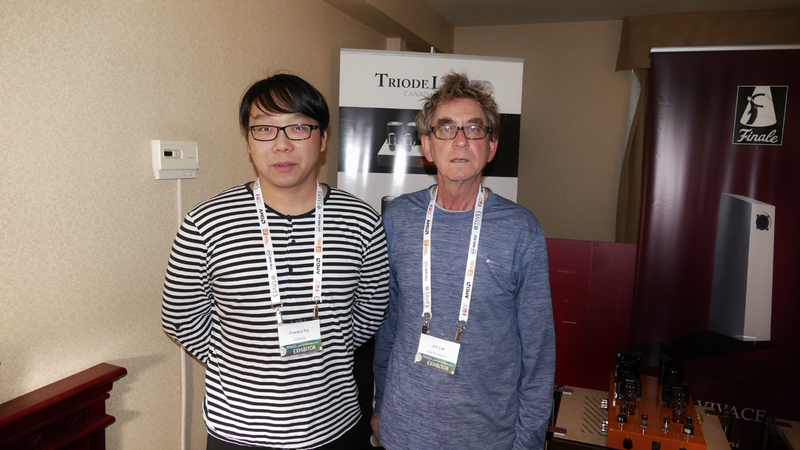 ... with the new $2'500/pr Finale Vivace Mini with its 3-inch driver belting out serious levels and wideband response paired with the $6'900/pr Triode Lab monoblocks and $2'999 pre. This was an efficient little setup that hit serious sonic territory, once again showing you don’t have to be big to play it big. 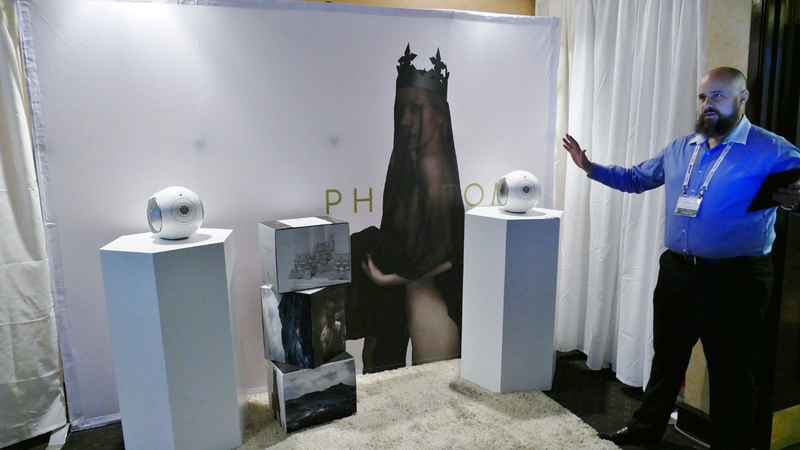 ... the new Phantom at $2'795 and $3'295 each depending on model. 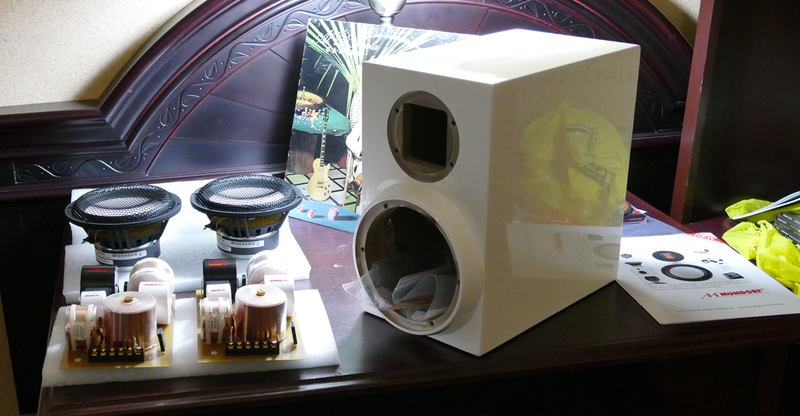 Ridiculously small, spec’d at 16-25,000Hz ±2dB and capable of very loud levels, the price tag also includes 3000 watts of amplification in the upper model, wireless plus a built-in DAC. Add your source and you have a complete system. [And how did it sound? - Ed]. ... 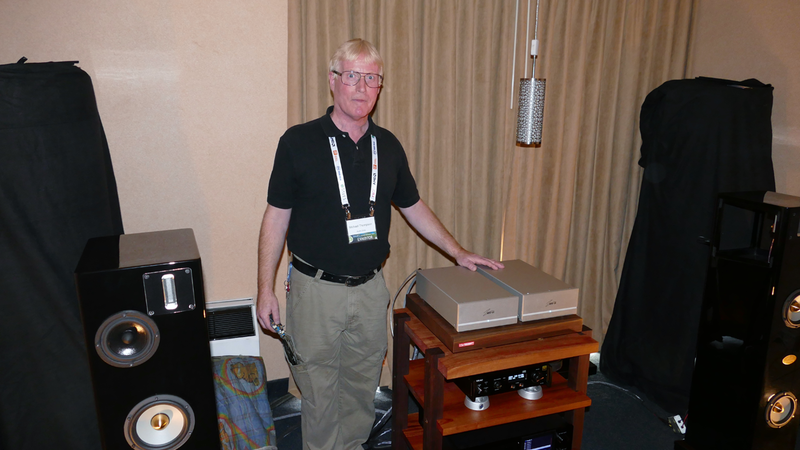 In a quiet hallway discussion, ANK’s Mr. Smith also indicated that his new $5'500 DAC 5.1 could go head to head against an analog cartridge. That's a strong claim and thrown gauntlet for the vinyl crowd to refute or corroborate. 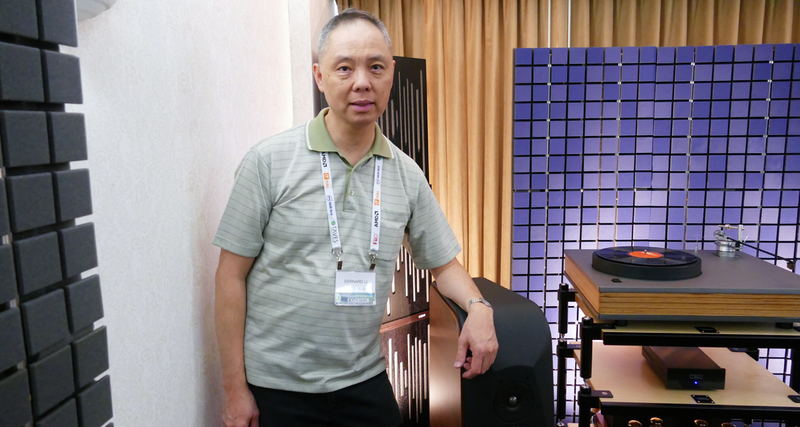 ... they managed detail, excellent driver integration, tonal accuracy, transient responsiveness and dynamics to compete against the higher tier contenders. 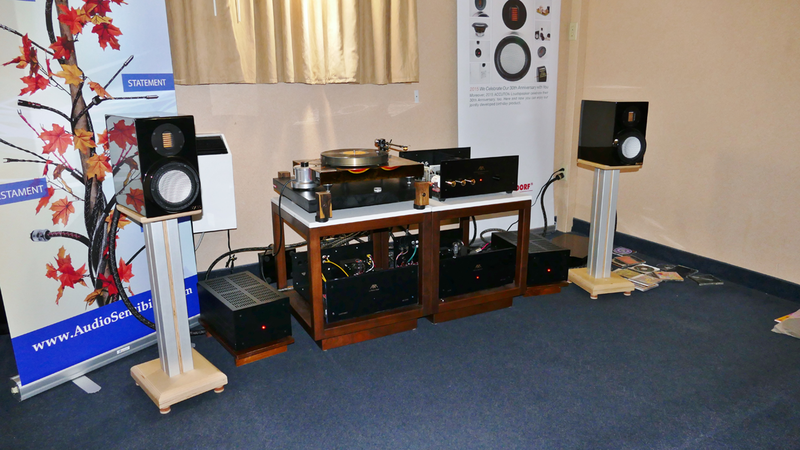 ...the elegant Kuzma table was on hand as well as a North Star Blue Diamond CD player and a Weiss DAC 202. This was a room geared to musical enjoyment rather than to impress with big bombastic assault. 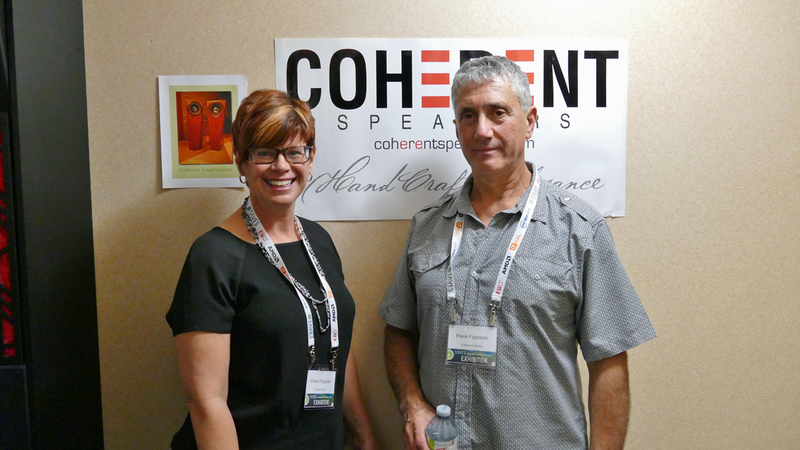 Coherent Audio, an annual favorite, were showing their new $6'500 high-efficiency 15 Neo BE beryllium-tweetered speaker paired in tubular fashion to great effect. 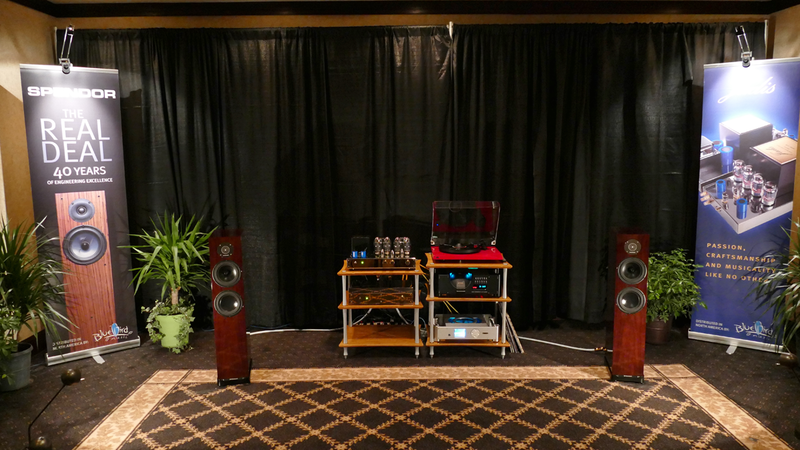 The setup was capable of unstrained dynamics and a natural tonal balance that demonstrated the full advantage of a point-source full-range coaxial. A pleasure in previous years and a pleasure again. 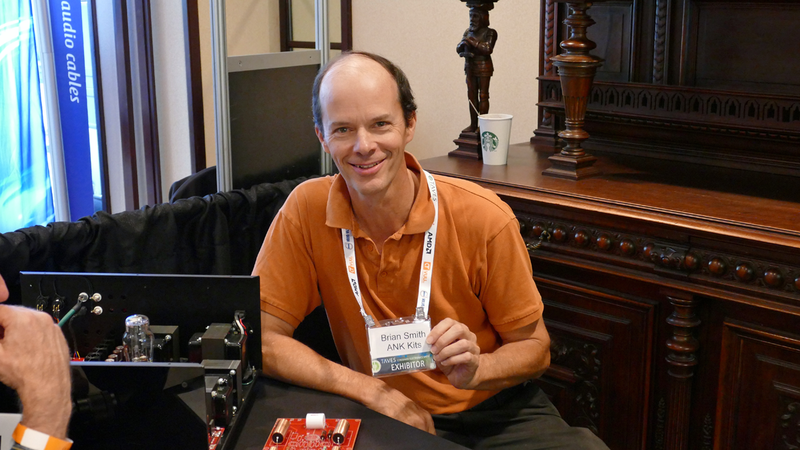 ... Mr. Thompson was showing some of the internal board detail as well as the form factor of their newer D2 amp. 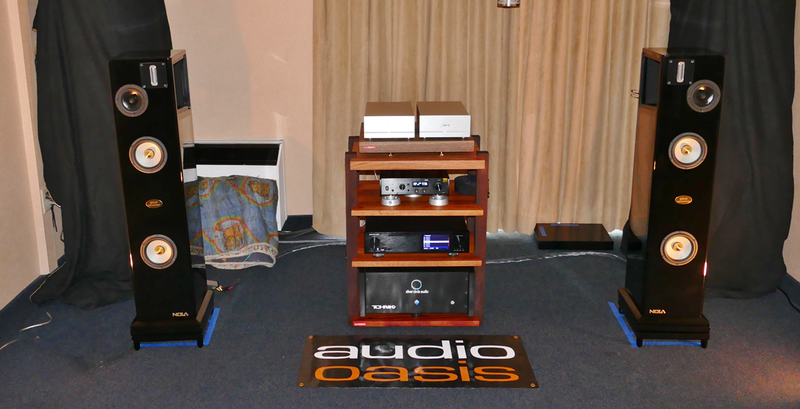 Bluebird Audio and Executive Stereo were offering some traditional succulent Spendor sound backed with the massive support of Jadis tubular bliss on the pre and phono stage plus top Chord Reference CD player and Network Music Player doing digital duty on the big rig. On the side were some wonderfully overbuilt and attractive smaller pieces from Chord for the headphone and portable frontiers. ... 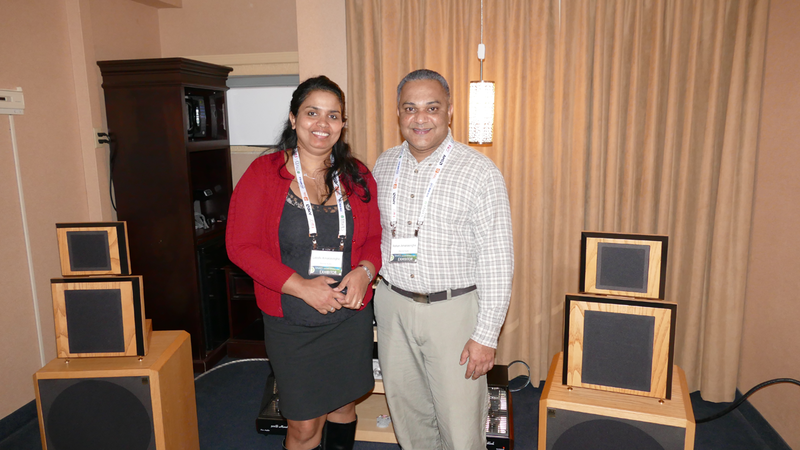 The 'built like a vault' Bryston electronics handled themselves with distinction. 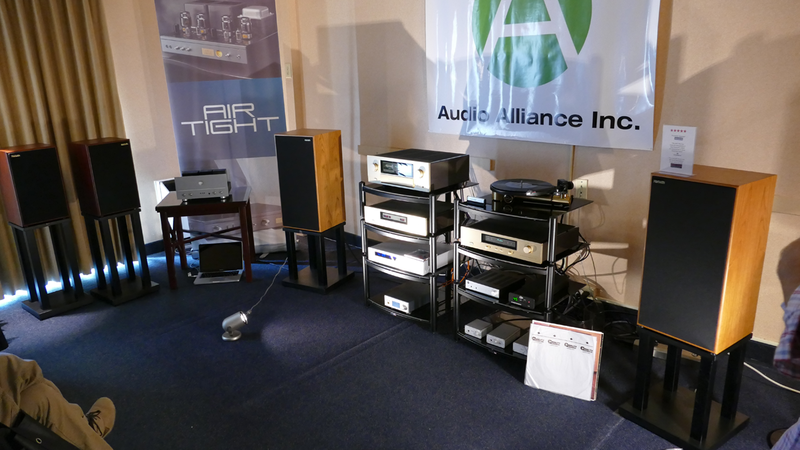 The large room was a wall-to-wall assortment of overbuilt amplifiers, preamps, integrateds, and DACs. 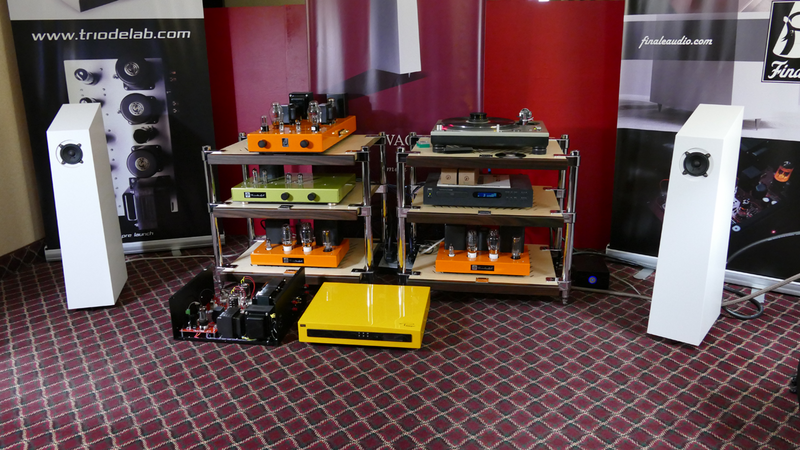 Fresh out of the gate were some new phono products on display. Mr. Tanner has good reason to smile. 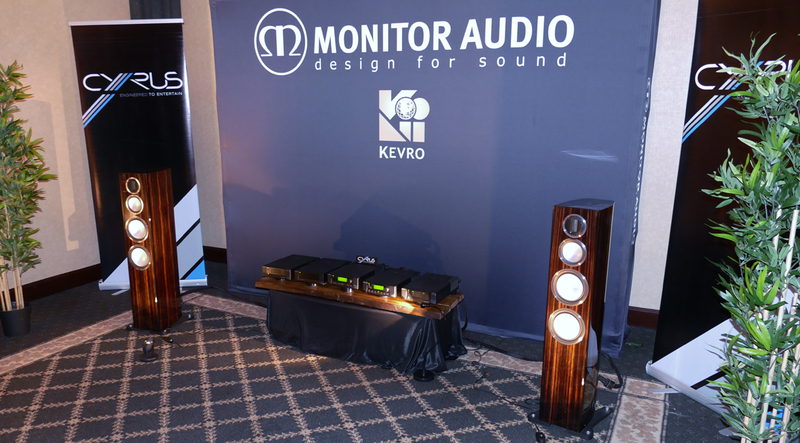 The Monitor Audio/Cyrus combination was being showed to good effect by Kevro's Sheldon Ginn,and stood as a lesson in both excellent pairing and the laws of diminishing returns. 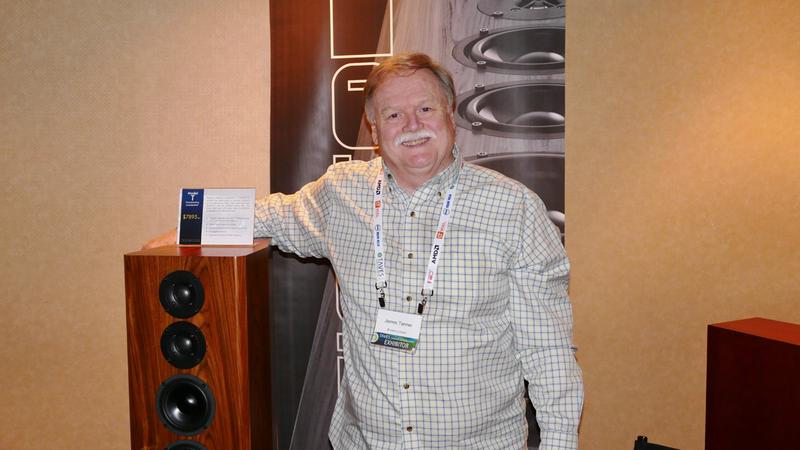 The Monitor Audio speakers were $8'600 in the finish demonstrated (although starting at $7'200 in regular finish). 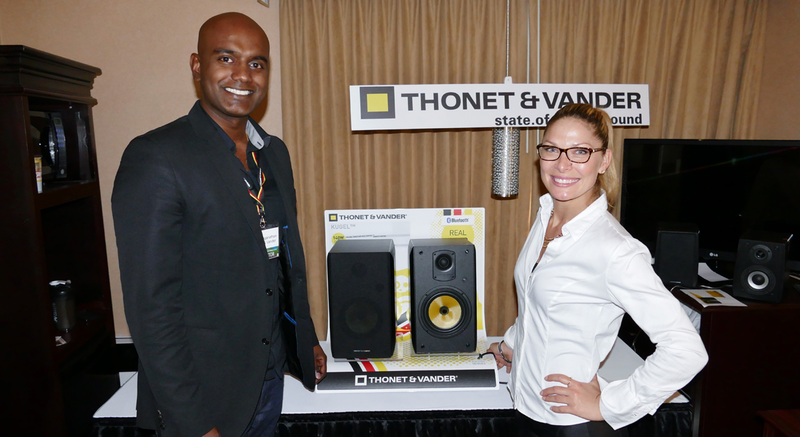 Matched with Cyrus amplification, streamer/DAC and power supplies, this hit a total mark in the $2',000 range. Construction and sound were of very high quality, which translates as a winning situation for those seeking to hit close to heavy price territory with real world finances. Reference 3A have always shown great skill in getting their rooms to work in their favour and this year was no exception. 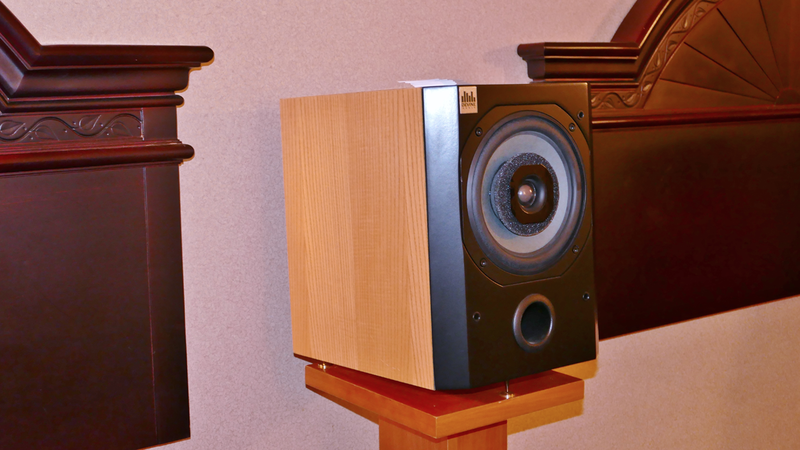 Their new $10'000 Special Edition monitor sounded big, enveloping,and effortless. 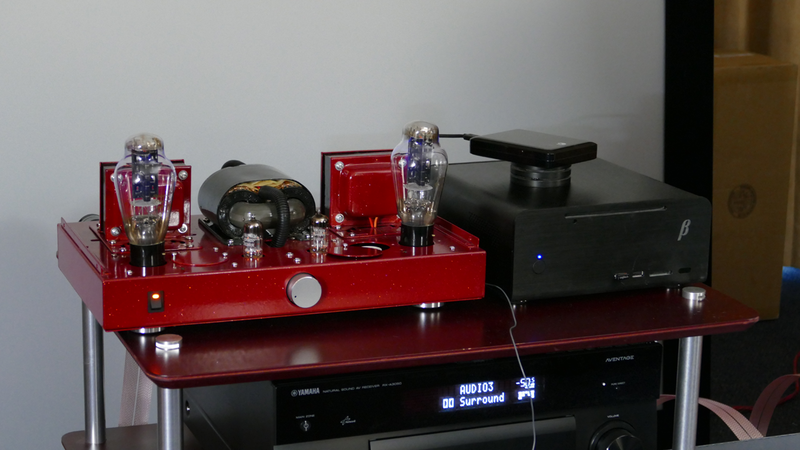 They were supported by Copland electronics at $6'500 for the CTA 506 amplifier and $'3995 for the CTA 305 plus computer source through an Exasound DAC. Another stellar effort by Mr. Tash Goka.